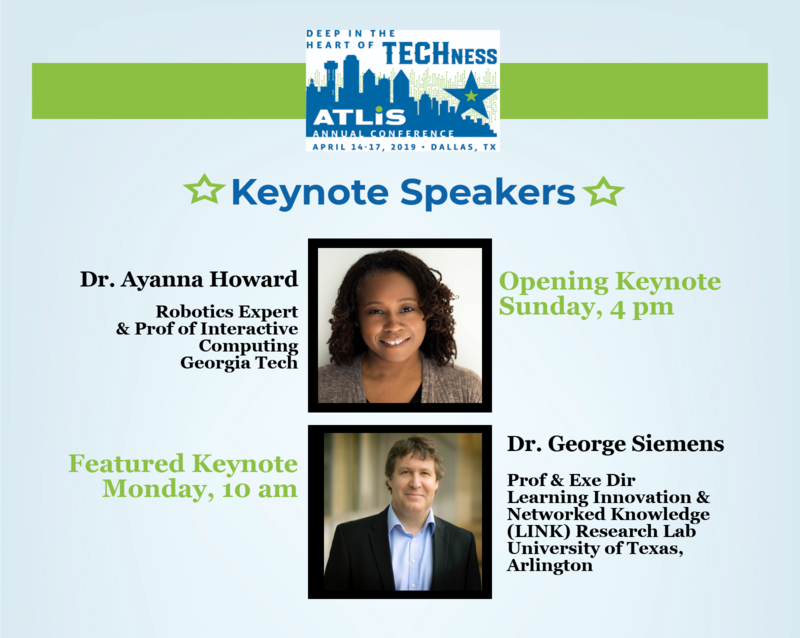 Two powerhouse keynote speakers for ATLIS 2019 Annual Conference will address how humans and technology intersect as we learn, work, and thrive in the digital age. The speakers, Dr. Ayanna Howard, robotics expert and Professor at the School of Interactive Computing in the College of Computing at the Georgia Institute of Technology, and Dr. George Siemens, Professor and Executive Director of the Learning Innovation and Networked Knowledge (LINK) Research Lab at University of Texas, Arlington, will explore how human-technology connections affect independent schools as they evolve to meet the needs of modern learners. Long before Matt Damon colonized Mars in the movies, Dr. Howard described her work for NASA in a way that aligns perfectly with the mission of ATLIS and the responsibilities of independent school technology leadership. She stated, "My task is to think of innovative technology for future robotics missions and implement them” (2002). Long before Matt Damon colonized Mars in the movies, Dr. Howard said of her work at NASA, "My task is to think of innovative technology for future robotics missions and implement them” (2002). Dr. Howard is the Linda J. and Mark C. Smith Professor and Chair of the School of Interactive Computing in the College of Computing at Georgia Tech. She also holds a faculty appointment in the School of Electrical and Computer Engineering. Dr. Howard’s career focus is on intelligent technologies that must adapt to and function within a human-centered world. Her work, which encompasses advancements in artificial intelligence (AI), assistive technologies, and robotics, has resulted in more than 200 peer-reviewed publications in a number of projects – from healthcare robots in the home to AI-powered STEM applications for children with diverse learning needs. Prior to joining Georgia Tech, Professor Howard was a senior robotics researcher at NASA’s Jet Propulsion Laboratory. She has also served as the Associate Director of research for the Institute for Robotics and Intelligent Machines, Chair of the robotics Ph.D. program, and the Associate Chair for Faculty Development in the School of Electrical and Computer Engineering at Georgia Tech. Dr. George Siemens, the Monday keynote speaker for the 2019 ATLIS Annual Conference, is an internationally renowned author, researcher, and theorist in the field of learning, knowledge management, and technology. Prior to his move to the United States, he was Associate Director of the Technology Enhanced Knowledge Research Institute (TEKRI) at Athabasca University and Associate Director of Research and Development at the Learning Technologies Centre of the University of Manitoba, Canada. He has organized and presented numerous open online courses, including two entitled "Connectivism and Connective Knowledge." Dr. Siemens has developed his expertise in over 30 countries and holds a doctorate from the University of Aberdeen and a Master of Arts in Distributed Learning (Leadership and Technology) from Royal Roads University, Victoria, British Columbia. At the University of Texas, Arlington, Dr. Siemens oversees LINK research projects centered on the question, “What does it mean to be human in a digital age?” Among the lab’s projects is examining how digital learning challenges and changes existing practices in education, including identifying and addressing student performance in large-scale learning environments for all learners, particularly those who are currently under-represented. Known as a “founding father of Connectivism,” Dr. Siemens recently discussed wide-ranging questions about the ways humans and technology intersect with members of the ATLIS 2019 Annual Conference Advisory Committee when they visited the UT-Arlington LINK Research Lab. Some topics touched upon included the capabilities artificial intelligence may have to bind different intelligences, the importance of data analysis as a skill set all, and the struggle of technology leaders to identify the skills needed for students to thrive in the future even as technology itself changes dramatically from year to year. Learn more about Dr. Siemens’s work by watching his talk for TEXxNYED or reviewing his numerous contributions to EDUCAUSE. 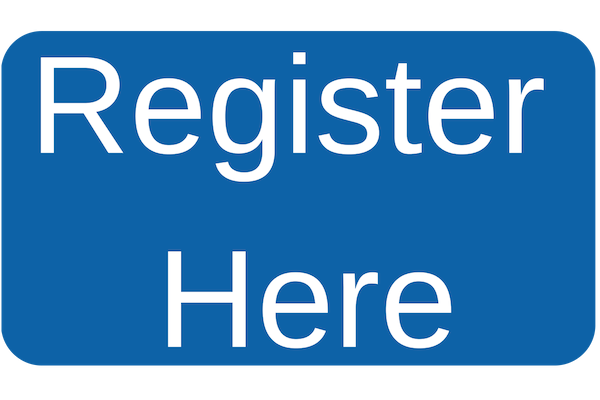 Ready to join us for ATLIS 2019 Annual Conference?